When Fr. 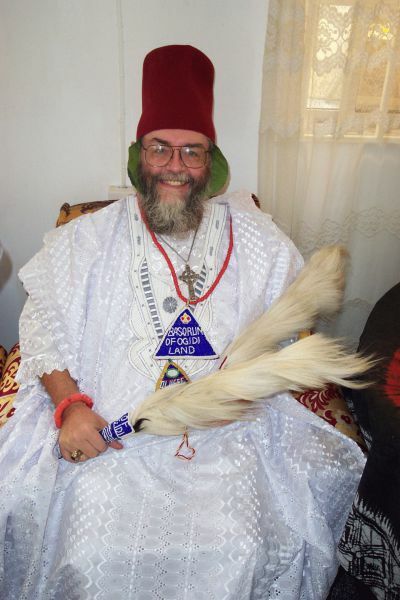 John was in Nigeria he was given two Chieftaincy titles. One was Basorun, which means he is the war chief for his village. Dei is Latin for "of God," So this site means War Chief of God. 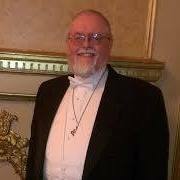 As of March 1, 2017, Father John is Pastor of the English language Church in Amman, Jordan. FATHER JOHN SHEEHAN, SJ is a Roman Catholic priest who served 12 years in Nigeria and 27 months in the South Pacific. He has lived and worked in eight different countries and visited in many more. Before entering the Jesuits, he worked in professional theatre and broadcasting. He sang as a boy soprano at Radio City Music Hall, and had his first professional job on radio while he was in high school. He has appeared in over 100 musicals and plays, and cannot count the number of performances. He was the recipient of one of the first three degrees in Theatre awarded by the University of Notre Dame, and after graduation came to New York, where he sang with the Light Opera of Manhattan, did dinner theatre tours and summer stock, and a season with Arena Stage in Washington. He also worked with a stunt-driving team, managed dinner theatres and catering services, and had a small public relations business. 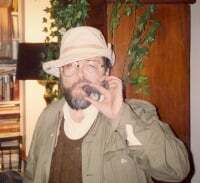 He joined Actor’s Equity as a stage manager, ran several dinner theatres and was in charge of publicity and front of house for Pittsburgh Public Theatre. 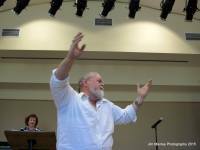 He has done voice-overs, local commercials, and he was Cantorial Soloist in a Jewish Temple for 2 1/2 years. In Nigeria he served as assistant to the Regional Superior for 5 ½ years, and was Regional Treasurer for Nigeria and Ghana, Communications Director, Director of Development and managed the compound that included three separate compounds, four buildings and a staff of 11.. He is the recipient of two chieftaincy titles, and sang numerous concerts in both Nigeria and Ghana, as well as fund-raising concerts in London and in Austin Texas. He created three CDs when he was in Nigeria (and a 4th when he returned to the U.S.) When he left Nigeria, he spent almost three years as chaplain on a military base in the Marshall Islands. 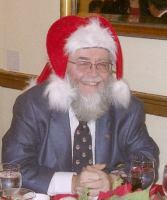 From 2007 until 2016 he was Chairman and CEO of the Xavier Society for the Blind. During that time he was also national chaplain for the Catholic War Veterans, and for the National Association of Blind Veterans. He is a past chaplain for the New York Athletic Club and chaplain for several groups at the NYAC. 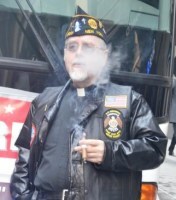 He was chaplain for American Legion Post 2001, the 9-11 Memorial Post. the Notre Dame Club of New York (and served for three years on the national Board of Senior Alumni for the University of Notre Dame), Division 7 of the Ancient Order of Hibernians, and the Manhattan Gaels Irish football team (men’s and women’s). He is a 4th Degree member of the Knights of Columbus, a member of Actors Equity, and belonged to the Episcopal Actors Guild, the Friendly Sons of St. Patrick, the Lambs Club, the Blue Hill Troupe and the Cornell Club. Fr. John cannot believe that God will let him die before he gets to be in a Broadway show. But since he is now Pastor of the English Language Church in Amman, Jordan, that is looking more and more unlikely. The new assignment in Jordan is as the Pastor of the English-speaking Church in Amman. If you would like to make a contribution to help in this work, please click the "Donate" button below. But there is wisdom there. I have completed the first Massive Missive from Jordan and have added a whole bunch of pictures. It is hard to add pix here on this website in the numbers I have them - and while the layout at my Blogspot is - you should pardon the expression - spotty, and not elegant and I will get better - I simply don't have the kind of time to try and re-create it here. So here is a link to that Blogspot, where you can browse to your heart's content. If that is a problem, I have it saved as both a doc and a pdf - the pdf is better and safer and faster - and on request - ask nicely - I can send it to you. Sorry for any inconvenience but even I get tired of writing about myself and looking at pictures of my adventures. or supported the concert in other ways. as an actor, a singer and a Jesuit priest. I am now in residence in Amman, Jordan. The Jesuit Center, PO Box 212074, Amman 11121, Jordan. Packages: The Jesuit Center – LATIN CHURCH, PO Box 212074, Amman 11121, Jordan. Fedex: The Jesuit Center – LATIN CHURCH, 43 Al-Razi Street, Jabal Hussein, Amman, Jordan.